OPEC’s historical deal to cut production has been sealed, and oil prices have jumped as a result, comfortably above the $50 per barrel mark. According to Lukoil’s vice president, Leonid Fedun, the average price of crude in 2017 could reach US$60 a barrel, thanks in no small part to that agreement. According to some observers, the effect won’t be so noticeable, and prices will continue to hover around US$50. In any case, Russia will certainly benefit from the cut agreement, as the chief of VTB, one of the country’s largest banks, said recently. Andrey Kostin said that the decision to cut production will, on the one hand, prop up international prices, which of course is good news for Russia, and on the other hand, it will benefit the ruble, an outcome which was also to be expected given the central place crude oil occupies in Russia’s export mix. What’s perhaps more interesting is that Russia did not, in fact, obligate itself to cut from essential production. It surfaced last week that the country’s total output had reached a new post-Soviet record of over 11.2 million barrels per day. The precise figure, according to Deputy Energy Minister Kirill Molodtsov, was 11.231 million barrels, and it is from this production level that Russia will take off the 300,000 bpd it agreed to cut to help OPEC in its market rebalancing efforts. Incidentally, Libya, which has been granted an exemption from the agreement, plans to ramp up its own output by 300,000 bpd by the end of 2016. To compare, Saudi Arabia pumped 10.6 million bpd in November, and now has to cut 486,000 bpd from that figure. 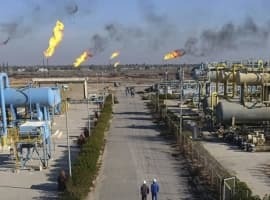 Its friends in the region, including Iraq, Kuwait, Qatar, and the UAE, will cut a combined 510,000 bpd from their output. Iran was actually allowed to increase its output by 107,000 bpd (based on secondary sources from October figures as reported by OPEC), which will bring its daily production close to the target of 4 million barrels of crude set earlier this year at 3.797 million bpd. Russia will continue to produce crude at the rates it did when prices were lower than they are today—a level that still allowed its oil companies to turn a profit. They might not be too happy about the stronger ruble, as this would negatively affect production costs, but it’s uncertain exactly how big the ruble’s rally will turn out to be. Russia’s 2017 draft budget had US$40 per barrel as a base scenario for oil prices, according to economist Natalia Orlova from Alfa banking group. Every US$1 above this level translates into around US$2 billion in budget revenues. The budget is currently being discussed. Related: After OPEC - What’s Next For Oil Prices? The country’s budget deficit for 2016 was estimated at over 3 percent by PM Dmitry Medvedev earlier this year, in case oil fell below US$50 again and stayed there long enough. It didn’t, so the budget for the year could be 3 percent or less. 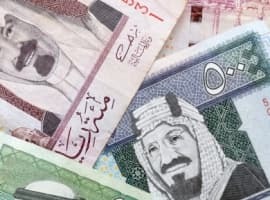 Saudi Arabia, on the other hand, has a deficit that is 20 percent of its GDP for this year despite massive spending cuts. So does Iraq. Kuwait’s deficit is 12 percent and UAE’s is 9 percent. And yet, these four countries will shoulder the bulk of the OPEC cut. Russia, along with Iran, could turn into the big winner of the agreement, enjoying high output and higher prices, which would allow it to further expand its global market share. Unless, of course, OPEC lies, as former Saudi Oil Minister Ali al-Naimi plainly said at a media event for the promotion of his memoir. “Unfortunately,” he said, “we tend to cheat,” commenting on how OPEC handles its only tool of market rebalancing: production cuts. An excellent and inciteful article, that is also well researched. America's on its death bed? Where have you been looking? Sure, a bunch of oil companies went bankrupt over the past two years, but production barely decreased by 1 million barrels a day (out of 9). In fact, compared to the end of 2014, US oil production is only 300k lower... and it's only going up from here! I won't argue that Russia was crushed by this oil price war or anything, but American companies are now lean, mean, oil-pumping machines. 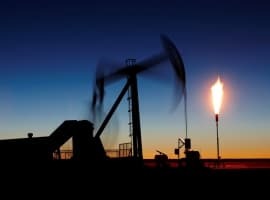 Why is the price of oil going down? OPEC had a deal? Lol. At least all that hedge fund money propping up the market has kept the producers solvent as they hedge their pricing. And then there is Saudi Arabia who keeps making wrong decisions about the market. They should have defended oil price and stepped on the accellerator to diversify their economy.